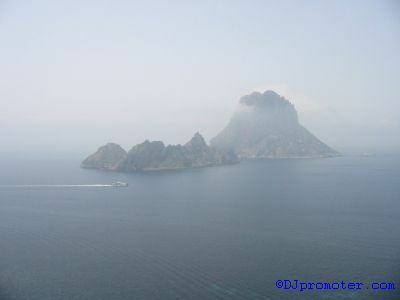 The Ibiza clubbing season is well and truly under way, and indeed DJpromoter.com itself shall be paying the island a visit between 23rd July and 6th August, staying at the Jet Apartments next to Bora Bora. 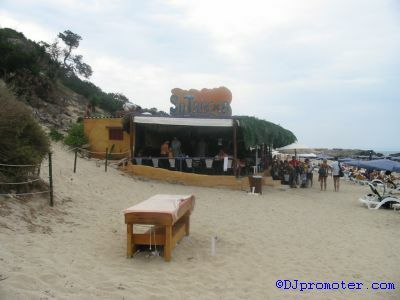 Gaining press access to the big club nights is notoriously difficult in Ibiza. Trying to contact either the club managers/owners or promoters in advance is usually a forlorn task, and once out there you will end up spending most of your time chasing them all over the island. That said, DJpromoter.com has managed to get provisional agreement from the promoters of Cocoon to take photos at their Monday night residency at Amnesia. 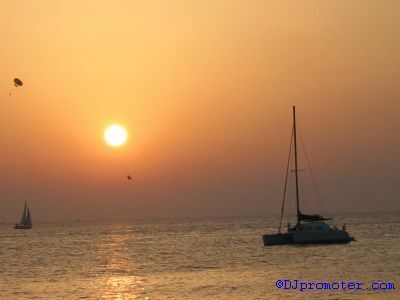 We have to contact them a couple of days prior to leaving for Ibiza, so (touch wood) hopefully that will be confirmed. Check out this year's Cocoon listings. 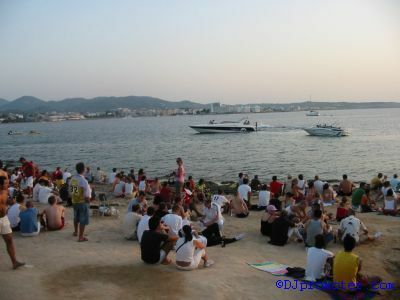 The latest 2005 listings for all the major clubs can be found at Ibiza Spotlight. 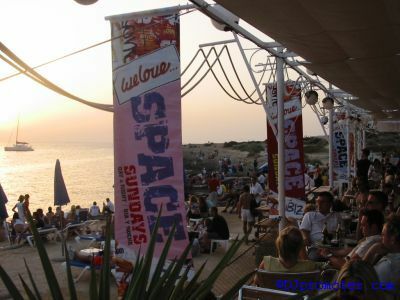 There are so many misconceptions about Ibiza, especially here in the United Kingdom, where certain TV channels have in the past damaged the reputation of the island with some tacky tabloid television shows. But these particular TV shows couldn't be further from the truth. 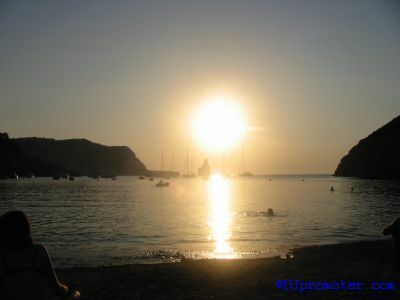 Ibiza is one of the most cosmopolitan holiday destinations in the world, even more so since the break up of the former European 'Iron Curtain'. 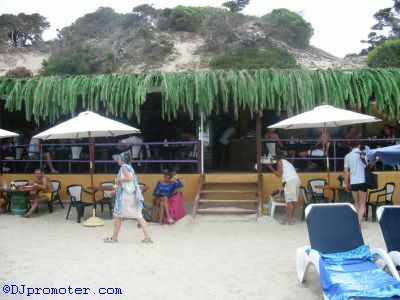 It is also a stunningly beautiful island, and as such it's well worth hiring a car and going to investigate the island outside of the resort that you are based in. 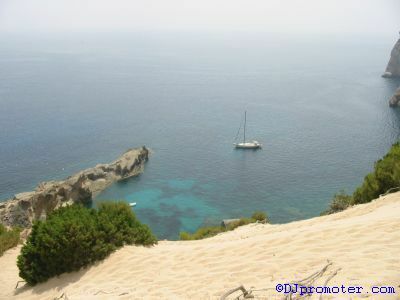 Es Vedra on the southern west tip of the island is also worth paying a visit. 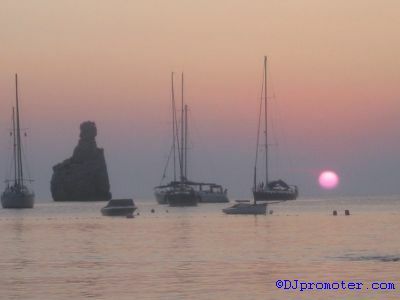 It is a rocky islet that is only accessible by boat, although you can also gain some spectacular views from the Ibiza mainland as there are some beautiful alcoves that look out towards Es Vedra. 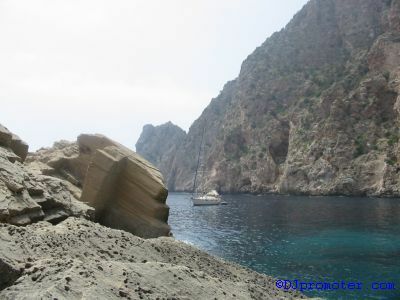 There is also a lot of history at Es Vedra, and there are ancient sculptures of gods/idols carved into the rocks. 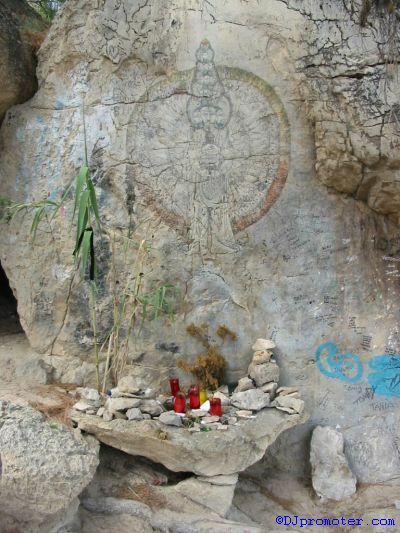 Even on the mainland opposite, there are rock carvings and strange artwork to be found. 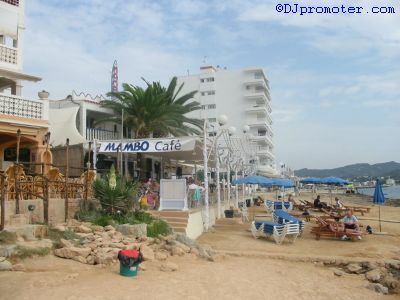 When holidaying in Ibiza, another major recommendation is not to stay in the main resort area of San Antonio Town. 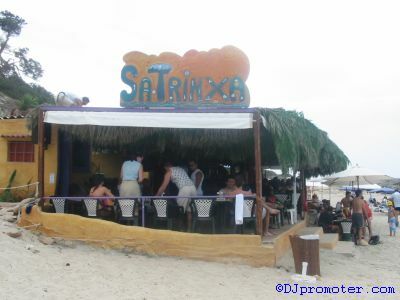 For those of you who are from the UK, this can be difficult to achieve, since most of the package holidays for younger people in particular, are located in San Antonio Town. 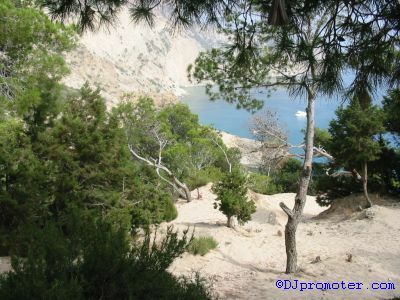 But it really is worth the additional effort to find accommodation in the likes of Playa den Bossa, Ibiza Town or Figueretas. Or if you can afford it, stay in one of the apartments located at the sunset strip bars of San Antonio (however it is true that many of those sunset strip apartments are private dwellings or are not available via normal booking channels). At the very least, stay in the San Antonio Bay area. 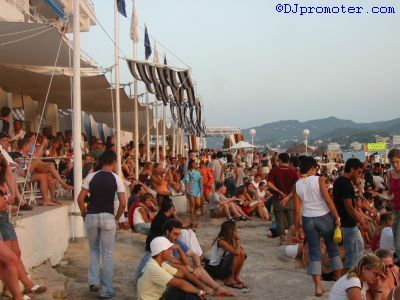 For some useful Ibiza links, check out the Ibiza websites topic in DJpromoter.com's dedicated Ibiza Forum. 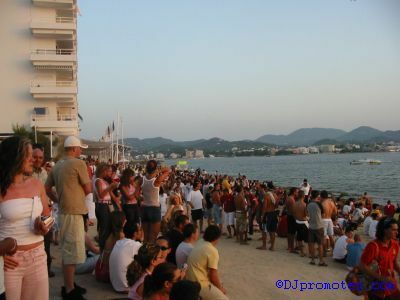 Over the past few years, DJpromoter.com has taken hundreds of photos from all over Ibiza, and some of these photos will be published on the website in our 'Images of Ibiza' series. We hope that these images will provide an alternative insight into the island. 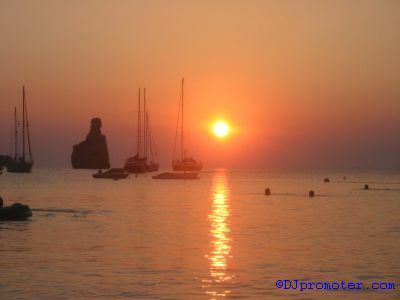 If you would like to use any of the images featured in this or any subsequent Ibiza photo articles for your own purposes (e.g. artwork for your record sleeve), please contact mailto:info@djpromoter.com to discuss further. 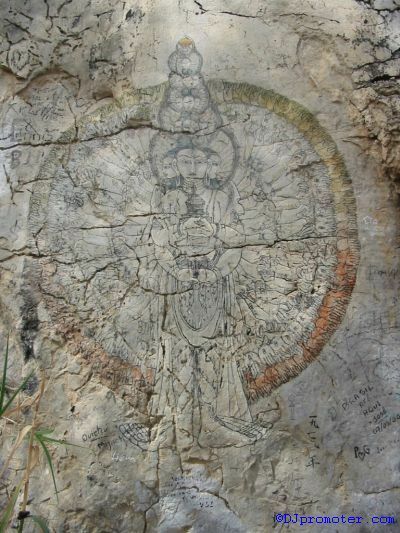 We may then be able to provide you with the original full sized image.